Jack Hillman Scott, Jr., 73, of Raleigh, NC, husband of Mary Justice Scott entered into eternal rest Wednesday, December 6, 2017. His Memorial Service will be held, Saturday, December 9, 2017 at Millbrook Baptist Church, 1519 E Millbrook Rd. Raleigh, NC 27609. Visitation will be held from 10:00 AM to 12:00, with a service immediately following at 12:00. Jack was born August 22, 1944 in Charlotte, NC and grew up in Cherryville and Gastonia, NC. He was the middle of three children to Jack Hillman Scott, Sr. and Virginia Penley Scott. He graduated from South Mecklenburg High School before attending the University of North Carolina at Chapel Hill. Jack received his undergraduate and Master's degree in Education from UNC. His brother, Greg, introduced him to the lovely Mary Elizabeth Justice. After a few years of friendship and courtship, Jack and Mary tied the knot on March 15, 1969 in Davidson, NC. They moved to Raleigh after accepting a new job opportunity, and there raised two handsome boys, Jack Hillman (Hill) and Thomas Justice (TJ). 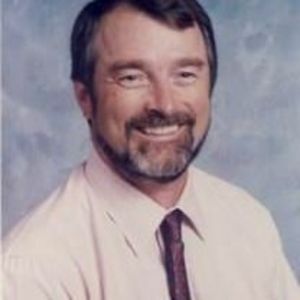 Jack was a beloved teacher and coach in Wake County for 30 years. His love of education, mentoring, coaching and discipline was evident in the many successful sports teams at West Millbrook, Carroll, and Martin Middle Schools. Being a true Scott and having never met a stranger, he developed many wonderful relationships with players, coaches, neighbors and fellow golfers over the years. Jack had a passion for life, competitive softball and cheering for all things Tarheel. He enjoyed two-stepping with Mary at the Long Branch, and found great joy in attending sports events for his sons and later in watching his grandsons on the soccer field. He was preceded in death by his parents, his older sister Dawn, and grandson Jack Hillman Scott, IV. He is survived by his wife Mary, his two sons Hill (Suzanne) and TJ (Bobbi), two grandsons Bennett and Griffin, his brother Greg and niece Skyler. Special thanks for all the assistance and wonderful care Jack and the family received from the staff at Right at Home, Wake Med Rehab, Transitions Life Care Home Health and Hospice teams, Brentwood friends and neighbors, and the fellow clergy members of Millbrook Baptist Church. The family will accept flowers or donations in Jack's honor. Donations can be made to Millbrook Baptist Church. Arrangements by Brown-Wynne Funeral Home, 1701 E Millbrook Rd., Raleigh, NC 27609.